I tried reblogging this earlier. This one is worth a second shot. At the cusp of a new day, week, month or year, most of us take a little time to reflect on our lives by looking back over the past and ahead into the future. We ponder the successes, failures and standout events that are slowly scripting our life’s story. This process of self-reflection helps us maintain a conscious awareness of where we’ve been and where we intend to go. It is pertinent to the organization and preservation of our long-term goals and happiness. The questions below will help you with this process. 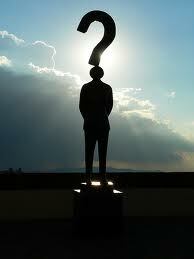 Because when it comes to finding meaning in life, asking the right questions is the answer. This link worked, as the earlier one didn’t…. nice article. The questions remind me of a lot of discussions I’ve been a part of as a group therapist for many years…all designed well, to help people explore themselves, a skill not all that common among most Americans… if I had a week or two, it would be a good list to use for writing subjects… good find and share….. Thank you. I too thought this was a good list to spark some creativity.